Entrance through French doors from the garden terrace area. A large table with chairs. Into Dining Room with door to staircase. Study room leads into the large , well presented sitting room with 3 sofas in soft fabric. Leads through French doors to a vine covered loggia with table and chairs . 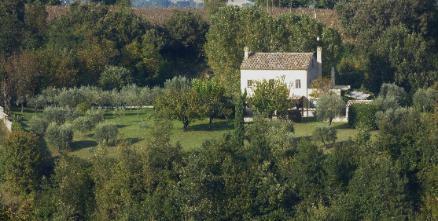 The front door of the house leads to a second covered loggia looking out to the olive plantation . Two double bedroom each with a private bathroom complete with bath tubs , double basins , over head showers , bidets and a WC. Mirrors - wardrobes - bedside tables with lamps - insect screens - room fans. Two bedrooms lead off the corridor to each side both with twin beds . One bedroom has another single bed and a cot. The two bedrooms share a shower room with basin and WC. The cottage one hundred yards from the house is fully independent but is additional to the house and never rented separately. French doors to the garden . £ 500 a week extra. Located to the side of the house - a safe distance and easily visible from the house and relaxing area. 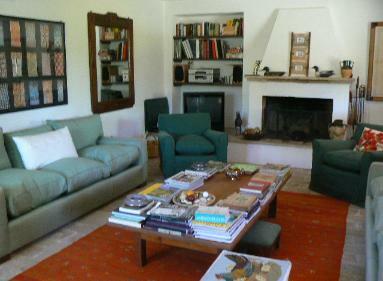 2 hectares of land with an expansive lawn, with working olive grove, cherry trees, fruit trees and shrubs. Wrought iron designer garden furniture - sofas and chairs with deep cushions . Dining loggia with table and chars with outside lighting. Large drive and parking area. Property is secured by electric gates and is approached along a private track. 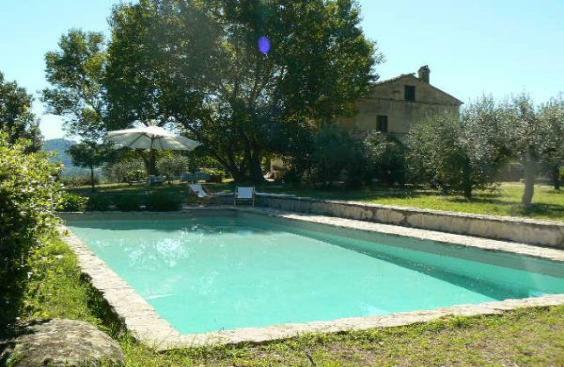 Perfect example of a medieval walled hill with 3 churches , Cobbled streets, converted monastery and amazing views of the Sibillini Mountains and whole region. Horses can be hired locally . Peaceful, easy walks/runs directly from the house . 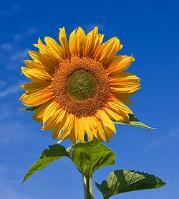 Beautiful walks along white roads lined with sunflower fields and fields of corn and crops . In-House Wine Tastings and Chefs available..
wonderful places to enjoy a pre dinner prosecco in a medieval piazza with sensational views to admire. and at times illustrious history. The main piazza is voted to be one of the most beautiful in Italy. Fermo is the closest larger city with a stunning duomo , traditional restaurants and plentiful shopping and exciting atmosphere being a University town. 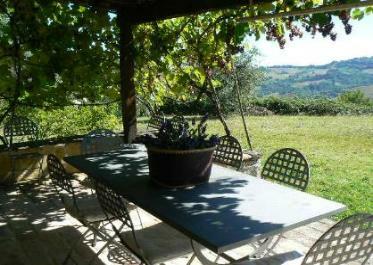 5 kms to the coast it has none of the modernity of the coastal area and remains classically Italian. Macerata is 1hr drive - An unforgettable evening out is to attend the open air opera season in July and early August. The coast and the white beaches of the Adriatic are a 40 mins drive - closest beach is Pedaso. excellent seafood restaurants and designer outlet shopping. Ancona airport is one hour. Skiing is available January to March approximately 1 hr drive. 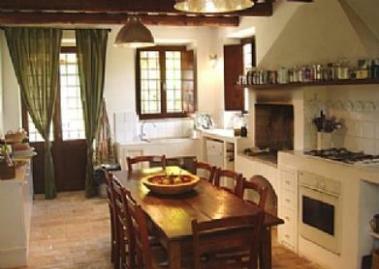 A spacious , comfortable and authentic farmhouse which has been in the owner's family for many generations. 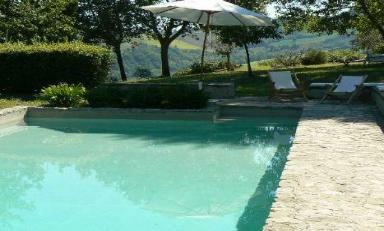 offering magnificent views towards the coast and of Santa Vittoria, the nearest hill town just a few kilometers away. 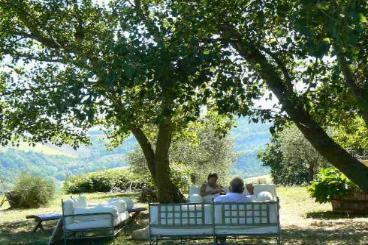 offering natural shaded places to sit , sleep, eat or play. The grounds are walled and gated. There are 2 dining loggias, a beautiful private salt water pool , complete privacy and exceptional views . The house offers 2 double bedrooms with private bathrooms and 2 twin bed rooms with shared bathroom on the 2nd floor. There is a large sitting room with several comfortable stylish sofas, a dining room with a study area and an atmospheric country kitchen . Wifi included along with a welcome locally made lasagne with superb local wine to accompany. A garden cottage fully self contained provides comfortable accommodation for a couple wishing for some privacy and independence. Perfect for family groups and adults sharing.